Let's talk about Haiti President Jovenel Moise, Find out what the president is up to. Leave a message, tell him your wishes for a better Haiti. 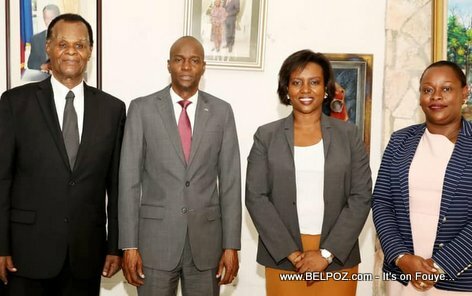 FRANCAIS: Parlons du président Haïtien Jovenel Moise. Découvrez ce que le président est en train de faire. Laissez un message, dites lui vos souhaits pour un meilleur Haïti. 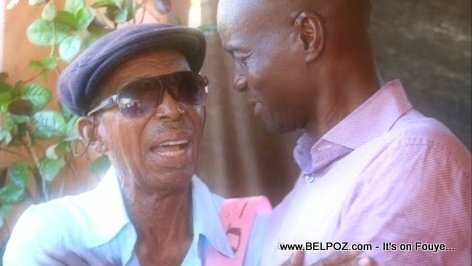 Here is a photo of Haitian president Jovenel Moise when he was still campaigning and his uncle Augustin Moise. Unfortunately, after he became president, those who are opposed to Jovenel Moise use this same family picture to destroy his image on social media saying the old man is the father of a gang leader on the run from the police. Don't believe everything you hear on Social Media! 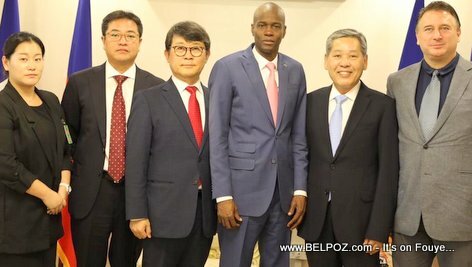 On Friday, April 05, 2019, Haitian president Jovenel Moise met with the members of the Board of Directors of the South Korean textile company S & H Global S.A. 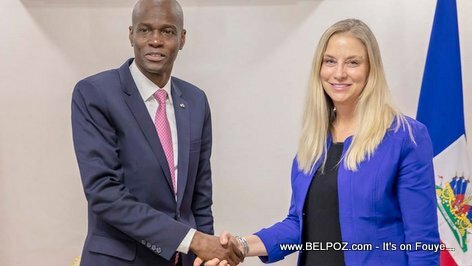 The discussions focused on the management of the Industrial Park, minimum wage in Haiti, the cost of electricity at the Caracol Industrial Park and the 12,000 jobs promised by S & H.
On Tuesday April 02, 2019, Haitian president Jovenel Moise met U.S. State Department Assistant Deputy Secretary for Haiti, Canada & the Caribbean Cindy Kierscht to discuss opportunities for economic growth, movement toward a national dialogue, and the status of planning for legislative and local elections. Here is a photo of Haitian president Jovenel Moise and U.S. President Donald Trump during a visit with Caribbean leaders at the Trump Mar-a-Lago residence in Florida. 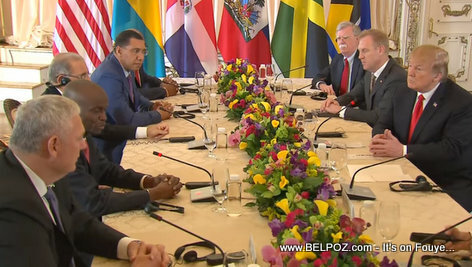 "We are here this afternoon, we'll have discussions about the things that will be beneficial to both countries," president Jovenel Moise said. 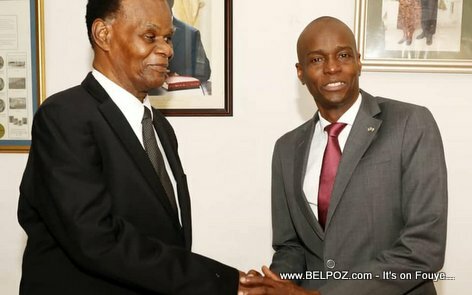 On Thursday, March 21, 2019, Haitian President Jovenel Moise proceeded to the installation of Interim Prime Minister Jean Michel Lapin to replace Jean Henry Ceant who received a vote of no confidence from Haiti's lower house of government, the chamber of Deputes. This installation was done at a time when President Jovenel was presiding a council of ministers (Conesil des Ministres). U.S. 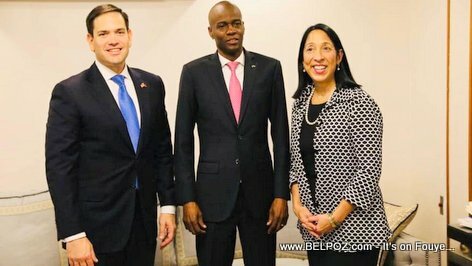 Senator Marco Rubio posed for a photo with Haitian president Jovenel Moise and U.S. Ambassador to Haiti Michele J. Sison during his visit to Haiti. 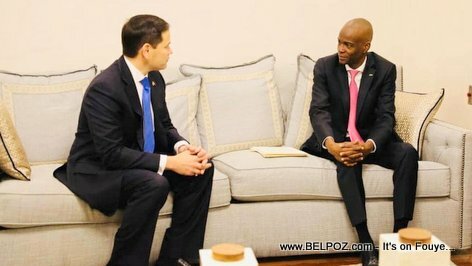 Haitian president Jovenel Moise met with US Senator Marco Rubio at the National Palace Wednesday, March 20, 2019. The meeting focused on strengthening friendship and cooperation relations between Haiti and the United States, as well as investment, security and elections, according to a tweet from president Moise. 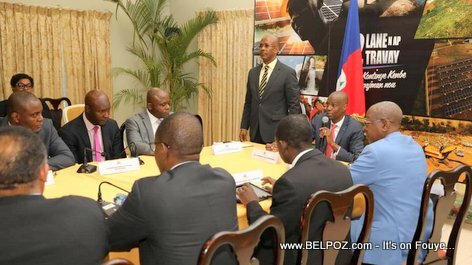 On Wednesday March 06 2019, Haitian president Jovenel Moise met former provisional president of Haiti Boniface Alexandre. "I spoke with the former provisional President, Mr. Boniface Alexandre in the context of the inclusive dialogue with all sectors of national life. Together, with the participation of everyone, we will find a solution to the problems plaguing the country." 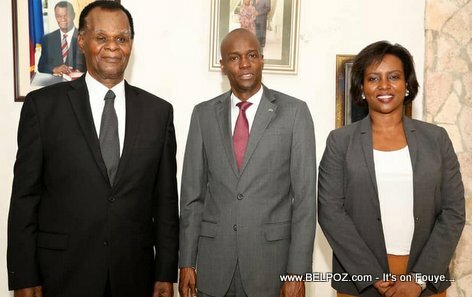 Haitian president Jovenel Moise, accompanied by his wife, first lady Martine Moise, met former provisional president of Haiti Boniface Alexandre Wednesday March 06 2019, .